Early in 201I decided to finish this quilt. 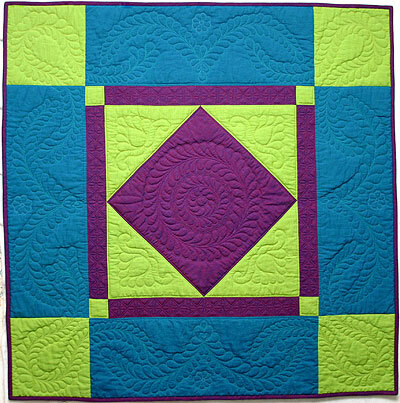 I drafted the traditional quilting designs to fit the dimensions of the quilt. 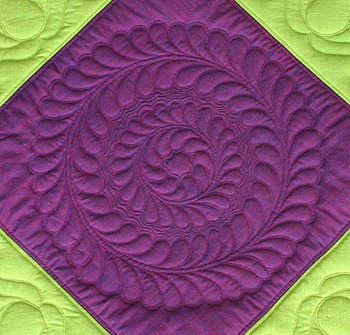 I left the background areas unquilted on purpose - many traditional Amish quilts are also without background quilting. The wool batt has more loft in the unquilted areas, which makes this a very warm yet lightweight quilt to use. American and International copyright laws.